There are plenty of developments happening today. Will mention a few of them in the comment section. Has Greenwald seen the actual report or is he just relying on the memo from Barr, the man who doesn’t even think presidents should be subject to obstruction of justice claims. To echo Bernie: Release the damn report! To Bernie: Demand that a taxpayer-funded report with all documentations and findings be released to the public who paid for it! PS: I just posted a video with Greenwald talking about the report on Democracy Now. No, he has not seen it. Man that a battle round by two good journalists. Glenn was on fire! Has Tracey received the report? Tracey, et always, are not saying that Trump isn’t corrupt and other charges aren’t valid. They’re saying he didn’t collude with Russia to throw the election. Which is important, bc we want to look at DNC manipulation, voting machines, purging and all the rest. I imagine there will be Trump corruption coming out for a very long time. Half of the journalists just hang around Trump’s twitter feed all day long waiting for the next lying tweet. They were in a panic mode when he was silent for over 24 hours. Watergate journalist Carl Bernstein in a Sunday interview called press coverage of the Trump administration “one of the great reporting jobs in history” as the media comes under attack for its coverage of special counsel Robert Mueller’s probe. Bernstein defended the press in response to a question about the coverage of Mueller’s probe. “I think we’ve done — the media, the press — has done one of the great reporting jobs in history, especially of covering a presidency by … most news organizations,” he said. I thought, wow, he’s got them all enthralled! Waiting for his next tweet like that. It would have been nice if Nancy had done this for Ilhan Omar. Speaker Nancy Pelosi’s (D-Calif.) office defended House Intelligence Committee Chairman Adam Schiff (D-Calif.) on Monday as Republicans called for him to resign after a summary of the Mueller probe by Attorney General William Barr said there was no evidence of conspiracy between the Trump campaign and Russia in 2016. GOP critics of Schiff, including White House adviser Kellyanne Conway and House Minority Leader Kevin McCarthy (R-Calif.), allege he pushed a false narrative throughout special counsel Robert Mueller’s probe that President Trump’s campaign coordinated with Moscow. Pelosi’s office defended Schiff by praising his performance as committee chairman and dismissing the criticisms as partisan attacks. If that flag doesn’t send off clanging danger signals in your head, then nothing ever will. It shows who her real friends are. She is cozier with AIPAC than the progressive wing of her own party. At AIPAC, Pence just called for Omar’s ouster from the Foreign Relations Committee. I’m sure Hoyer and Engel would be fine with that. Pelosi will not let that happen. No Collusion: Democrat And Media Hype Falls Flat. Now What? But likely obstruction of justice, one of the things that broughtt Nixon down. Also plenty of indictments and convictions of Trump cronies. 34 indictments and 7 convictions. And their about 15 other investigations/inquiries at the state and fed level. Trumpcorps buddies wont be able to stop the ones that SDNY are doing with his taxes or the ones in Virginia. Taxman even beats the rich when they go to court. Well I can’t say that I agree with the TYT on this. When asked why TYT doesn’t cover Tulsi Gabbard, response by saying “Tulsi isn’t progressive” in bizarre outburst. I quit watching TYT a long time back. I do watch many of the people who spun off shows of their own from TYT though. Mckayla Wilkes is running to represent the people of Maryland District 5, rather than corporate interests. She will fight for affordable housing, Medicare for All, the Green New Deal, criminal justice reform, expanded voting rights, and more. She shares the perspective of ordinary people in Southern Maryland. She understands the burden of the rising costs of homeownership and the failures of our healthcare system. She grasps the immense need to tackle climate change, and realizes that we are the last generation who has a chance to do it. She has faced the abuses of the criminal justice system firsthand, and will work to end the exploitative rot which is the prison-industrial complex. She will work to expand voting rights and voter turnout in Maryland District 5 and nationwide. McKayla’s campaign, unlike Congressman Hoyer’s, will be powered entirely by people. Good luck to her but it won’t be easy. Hoyer is what is a glowing example of what is wrong with the Democrats. As Bernie has been pointing out nothing that is good for the people is ever easy. Will donate what I can. Thanks for the heads up jcitybone. Absolutely too good to miss. Two different opinions about the significance of the Mueller report with Glenn Greenwald and David Cay Johnstone. Very thought provoking. My half-thought-through thinking at the moment: Greenwald states that Trump has done his utmost to provoke conflict with Russia, and concludes from that that Trump cannot therefore be a Russian puppet. What if Trump’s and Putin’s end goals are the same . . . a world terrified of nuclear destruction will bend to the will of tyrants? But now China is a factor, for example, and lots of countries have nukes. Fear-mongering is very effective. What will Trump do about Russian troops landing in Venezuela? Hopefully nothing too stupid. There is a point where fear ends though. And anger takes over. I think we are reaching that point. I would love to know what Trump and Putin talked about in their meetings that the White House has kept secret. I am going to go out on a limb and suggest that it was nothing beneficial for the 99% of the US or the world. The Russians are coming! Hide under your beds! Venezuela Says Russian Troops to Service Military Equipment. A Russian general and about 100 soldiers and gear are on the ground in Venezuela as part of long-term military accords between the nations, a Venezuelan Information Ministry official said Monday. An Ilyushin IL-62 passenger jet and an Antonov AN-124 military cargo plane arrived at the international airport outside Caracas on Saturday amid rapidly escalating tensions between the U.S. and the regime of President Nicolas Maduro. Russian and Venezuelan officials had been silent about the trip, despite local media reporting their arrival and the fact that the planes bearing Russia’s flag were visible to the public on the tarmac. Sputnik, a Russian state news outlet, cited unnamed embassy officials in Caracas to report that the troops and 35 tons of cargo under the command of General Vasily Tonkoshkurov arrived to “exchange consultations.” A Venezuelan Information Ministry official, speaking on the condition of anonymity because he isn’t authorized to comment publicly, said the visit was to perform maintenance on Russian military equipment the nation had purchased. Secretary of State Mike Pompeo called his Russian counterpart, Sergei Lavrov, on Monday warning that the U.S. and its allies “will not stand idly by as Russia exacerbates tensions in Venezuela,” according to a statement. Lavrov told Pompeo that the U.S. is fomenting a “coup d’etat” against the Maduro government that violates the United Nations charter, the Foreign Ministry in Moscow said. Bernie is running against Trump in the primary. Everyone else is running against everyone else. Kamala is running against Beto; Beto is running against Kamala. Some are running against themselves. Others are just getting run over. Yes, and Bernie was doing it before the primary season started. Request. If it’s not too much trouble, I would love it if whoever starts a new thread would leave a note in the old thread right before they start a new thread. Me too! There have been times when I had no idea a new thread started and I languished by myself in the old thread, lololol. 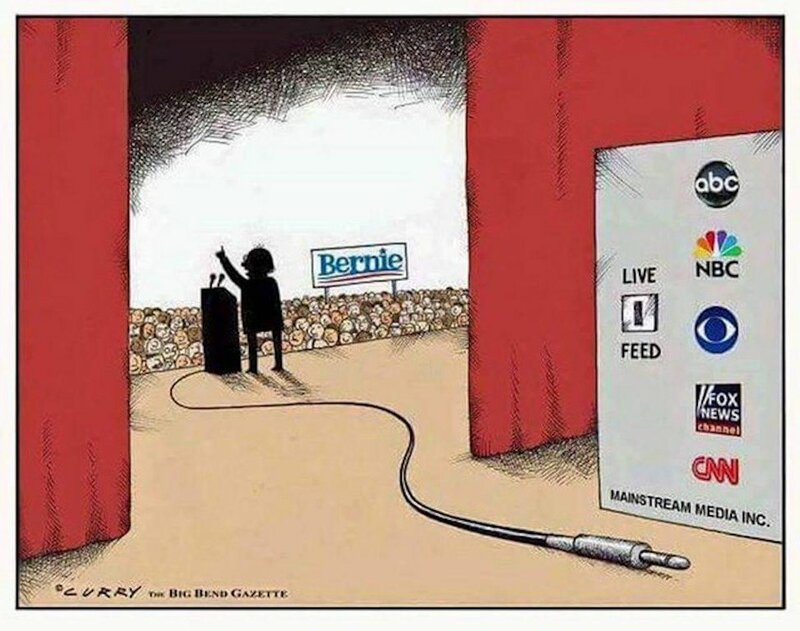 This is how the Democratic establishment( ) operates! SIX HOURS AFTER the Democratic Congressional Campaign Committee announced that it was blacklisting firms that work with primary challengers, I met with a potential client who was considering a Democratic primary. The client told me that two consultants dropped out that morning — and now the candidate may not run at all. I happen to like this (now suspended account) Thanks twitter! I like her too. She could be scathing, but I don’t recall ever seeing her go over the line or anything. I hope she comes back. Jennifer O’Malley Dillon, who served as Obama’s deputy campaign manager in 2012, confirmed to The New York Times on Monday that she would be taking on the new role. O’Malley Dillon has worked on five presidential campaigns, according to the Times. She is leaving her consulting firm in Washington to assist with the formal launch of O’Rourke’s presidential campaign this weekend. O’Malley Dillon told the newspaper she had not planned to become involved in the 2020 presidential race this early but was inspired by O’Rourke’s “leadership, his energy, his belief that you don’t have to segment voters and that you can be a president for all voters. Y’all look like you could use a good laugh. It gives the 1% an opportunity to give back for Trump’s tax cuts. Wonder how many massage parlor owners will attend? Got my Bernie campaign alert via text. The deadline is the 31st. Spread the word. This guy will match, up to $100. KH is a member of the Harper Valley PTA. Mayor Pete got a 100% increase! Six Democratic committee chairs in the House sent a letter to Attorney General William Barr on Monday requesting that he submit the full report from special counsel Robert Mueller’s Russia investigation to Congress by April 2. The top House Democrats argued that providing the report “in complete and unredacted form,” along with the underlying evidence and materials, would be fully consistent with the Department of Justice’s practice and precedent with Congress. By removing himself from running, Gallego, D-Ariz., also dashes GOP hopes of a competitive Democratic primary race that could have freed McSally, R-Ariz., to focus on her own campaign message while Gallego and Kelly battled it out for their party’s nomination. The Dem leadership once again puts their thumb on the scale. Too bad that we can’t be more like New Zealand. Gun-rights advocates asked the U.S. Supreme Court to temporarily halt a new federal ban on bump stocks, the attachments that can make a semiautomatic rifle behave like a machine gun. The ban is scheduled to take effect on Tuesday. We should not eat our own,” cautioned David Brock, which is rich coming from a professional hatchet man servicing both sides of the aisle at different points in his career. In reality, the ones doing the eating are primarily centrist pundits using high minded postures to skewer Bernie. Sanders has been assailed by a former Clinton staffer for using private planes while stumping for Hillary in 2016. He’s been attacked for hiring David Sirota, a respected left-leaning journalist who got his start in Sanders’s House office twenty years ago. (Sirota was raked over last week for supposedly hiding his conflict of interest while at The Guardian, a claim that turned out to be simply false). Tomasky presumptuously issued a “personal plea” to Bernie to rein in his supporters, while saying nothing about the Clinton advisers publicly vowing to unleash their oppo research from 2016 on Sanders. I know he doesn’t really like it, but. I hope he tries to interject more of the personal in his speeches. Sen. Bernie Sanders’s remarks to a mostly Muslim audience in Los Angeles were a last-minute addition to his schedule last weekend. As he stepped onto the stage he warned 200 people in the audience that he was about to do something very un-Bernie-Sanders-like. This is a good idea. Why wait for Bernie to be POTUS? Since it’s a long thread, I am putting this in twice. He’ll match up to $100. It would be nice but I can’t see it happening. Remember the revolution wont be televised!!!! Yes. Publicize! He can’t do it. It is a bit late for this. Don’t you think?